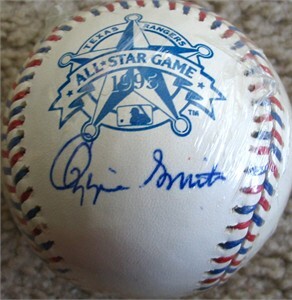 Official Rawlings 1995 All-Star Game baseball autographed under the logo in blue ballpoint by St. Louis Cardinals Hall of Fame shortstop Ozzie Smith. 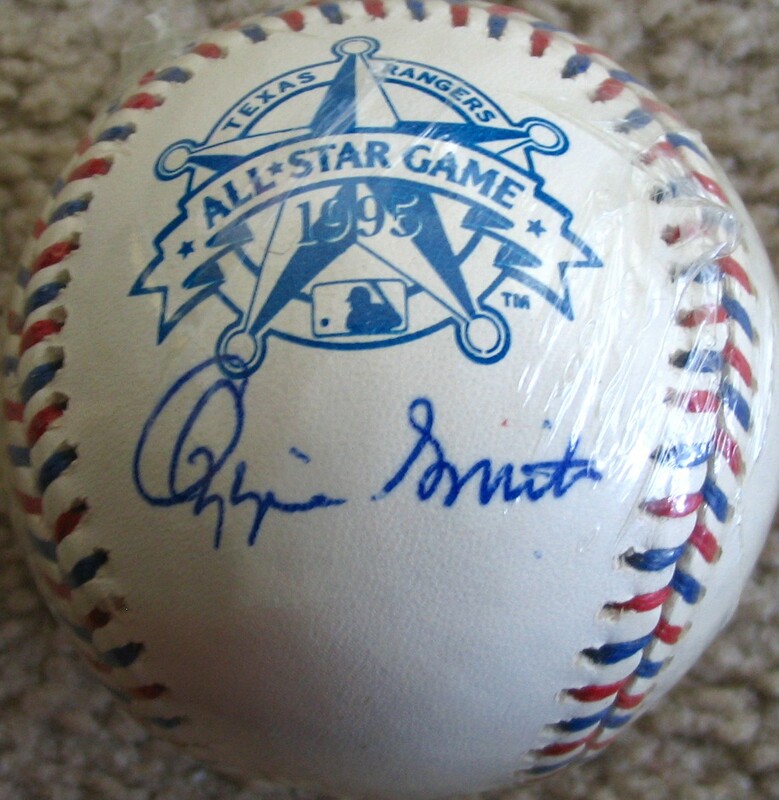 The 1995 game (played in Texas) was Ozzie's 14th of 15 total All-Star Game appearances. PERFECT MINT CONDITION. With certificate of authenticity from AutographsForSale.com. ONLY ONE AVAILABLE FOR SALE.